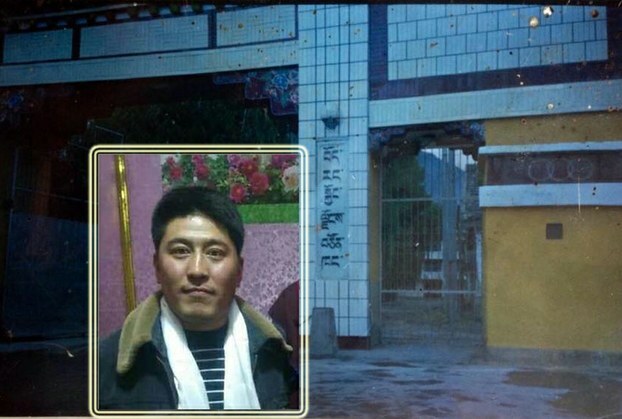 (TibetanReview.net, Oct14, 2015) – China has arrested in September this year in Qinghai Province a Tibetan man believed to be in his 30s only months after he had completed a five-year jail sentence for having staged a lone protest march against its rule, reported Radio Free Asia (Washington) Oct 12. It said Samdub Gyatso was arrested for travelling outside Dashi (Chinese: Haiyan) county in Qinghai’s Tsojang (Haibei) Prefecture in violation of a ban put on him and for being in possession of leaflets calling for the return from exile of Tibet’s spiritual leader, the Dalai Lama. Samdub Gyatso had served his five-year jail sentence in Drapchi Prison in Tibet’s capital Lhasa. This followed his arrest in early May 2010 after he staged a lone protest march outside the Jokhang Temple, wrapping himself in a Tibetan national flag and shouting for the Dalai Lama’s return, the release of the Panchen Lama, and the resettlement of Tibetans expelled from the Kyegudo (Chinese: Yushu) area of Qinghai province after it was hit by a devastating earthquake. After he completed his jail sentence, Samdub Gyatso was escorted to his hometown of Serthang in Dashi County where a ban was imposed on him from travelling outside the county. He was reported to have violated that ban when he was arrested in early September while travelling from eastern to western Qinghai, carrying with him leaflets calling for the Dalai Lama’s return from exile. The report said he was under constant watch since being returned home after completing his jail sentence in Lhasa. The report said no one was being allowed to visit him in detention. Previously, Samdub Gyatso was jailed for six months in Lhasa in 2009 on his return from a two-year stay in India after being found in possession of several books written by the Dalai Lama. At that time the Dashi County police fined him 10,000 yuan after he was delivered into their custody on completing his six-month jail term. At that time too, he was banned from travelling outside the county.